So, you are starting to notice a drop in traffic to your website. You’re wondering how or why this is happening. Could it be your website is broken? Or maybe your website is in need of a redesign? Maybe your website needs a facelift. 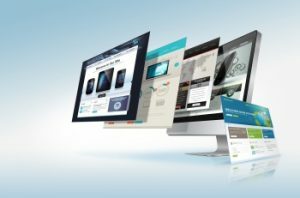 No matter the reason, having a new website that is responsive and user friendly is crucial to driving in traffic and converting that traffic into business. That’s where the website design experts at Design & Promote come in. For over 10 years we have been designing some of the most innovative websites that will bring in users and keep them coming back for more. For more information on our website design services or if you have any questions about our other services such as SEO or website hosting, feel free to call us today at 630.995.7109. You can also fill out the contact form located on this page and one of our website design experts will return your inquiry shortly. Having a website simply doesn’t cut it anymore. You need a website that is responsive. Why is that? Nearly 28% of all online users utilize their mobile devices to search the web. Our designers understand this and design your website to be responsive, meaning it functions properly on desktop and mobile devices and taking advantage of any avenue to website traffic is good practice. For those that are more hands on, we design websites using content management systems such as WordPress, so if you have to make a small change you don’t have to call the designer to make the change, you can do it on your own which saves you money. If you are in need of experienced website designers in Warrenville or if you have any questions about our other services, call us today at 630.995.7109. Or fill out the contact form on this page and we will respond shortly.